★★★★☆ An honest man in an impossible position. "The King&apos;s Mirror," by M.K. 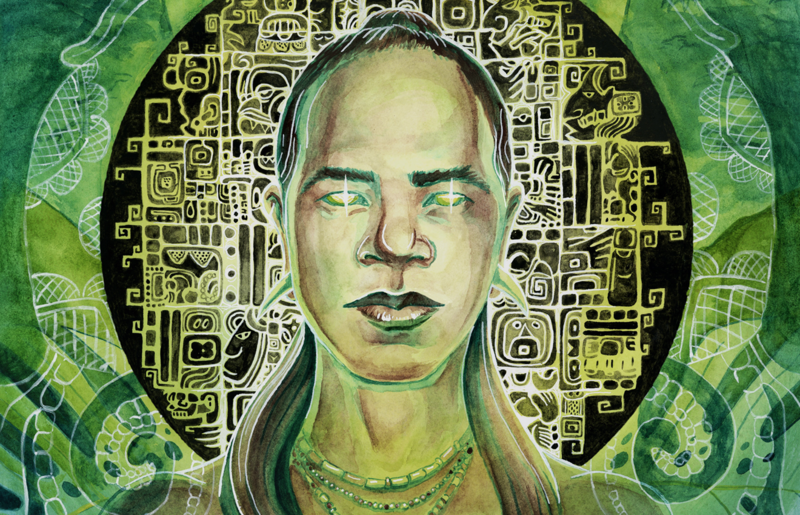 Hutchins [bio] (edited by Jane Crowley and Kate Dollarhyde), appeared in Strange Horizons issue 01/21/19, published on January 21, 2019. Pro: The Mayan king in the story is K'inich Yo'nal Ahk II , and the capital of his kingdom of Yokib was on the site today called “Piedras Negras." The goddess puts Wak-Lamat in an impossible situation when she tells him that his sister will die in just a month and that there’s nothing he can do about it. It's to his credit that he views this as more important than whether the king enslaves him or not. The only upside to this news is that he knows for a fact his mirror works. Then, to make things worse, the second vision, where he sees the fate of the king and the kingdom, explains why the goddess won't show it to the king. The first two mirrors worked just fine (as we might have suspected). Wak's situation looks hopeless. It's a nice touch that the king catches him in the middle of his vision. He doesn't have to convince the king he saw a vision; there's no way he could convince the king he didn't see one. He doesn’t really lie to the king (except about the goddess being unhappy with him enslaving the other mirror grinders), but he manages to deceive him enough to get the result he wants. The King will make decisions that save the kingdom, never knowing that they will lead to his own death. Finally, he makes the right decision as far as his sister (and her fiance, his best friend) is concerned. It’s very sad, but it makes the best of a bad situation. Con: The narration is a little uneven in a few places, and the dialogue hits a false note here and there.